A lot has happened between 1995 and today. Our history in a nutshell. The Tübingen designer Markus Heckhausen became an impassioned “new Berliner”, threw himself into the subculture art scene and watched what was going on. He took on the Ampelmännchen that had been thrown away, picking them up from the street with his own hands, and when necessary rescuing them from the yards of the road maintenance departments before they fell victim to the shredder. 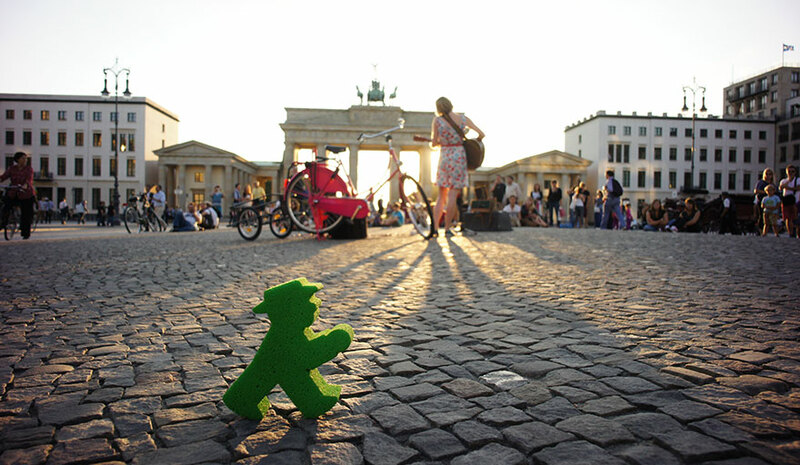 Together with Karl Peglau, the inventor of the Ampelmännchen, he succeeded in rescuing them. 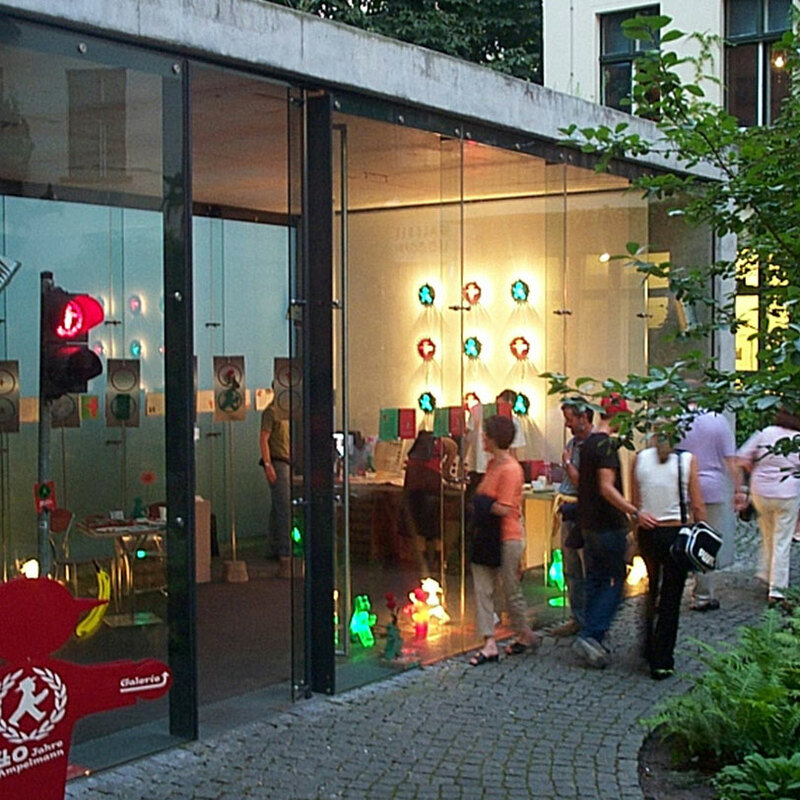 Markus Heckhausen constructed the first AMPELMANN products, the red and green traffic light lamps, out of original traffic light glass. He had no sooner presented them to the public – in other words his friends and neighbours in Berlin-Mitte – before there was great interest. Including in the press. 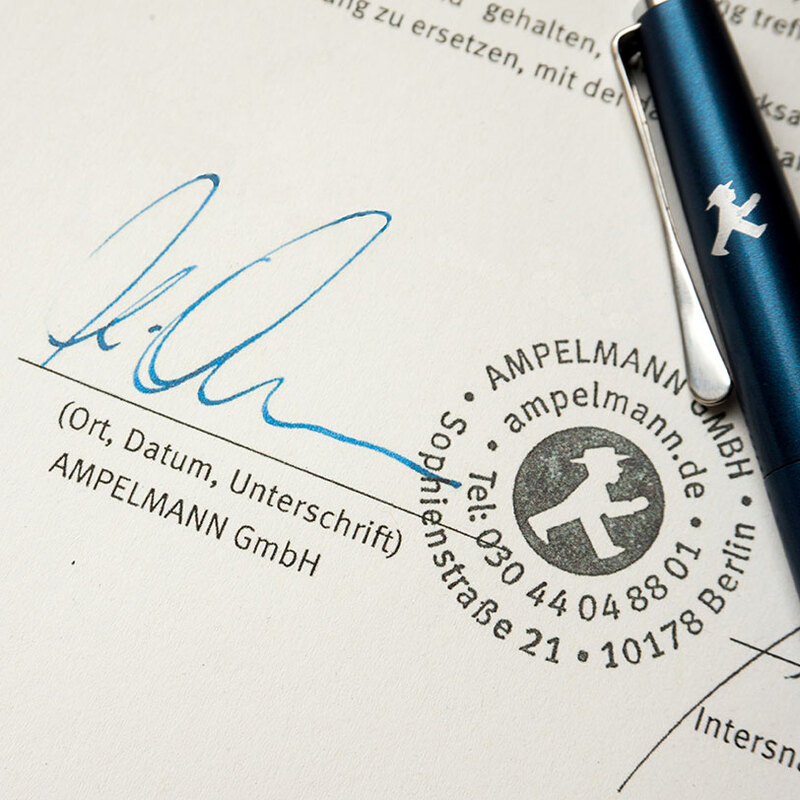 The new distribution structures and the positioning of the brand made it necessary to select a new legal form: Markus Heckhausen founded AMPELMANN GmbH. 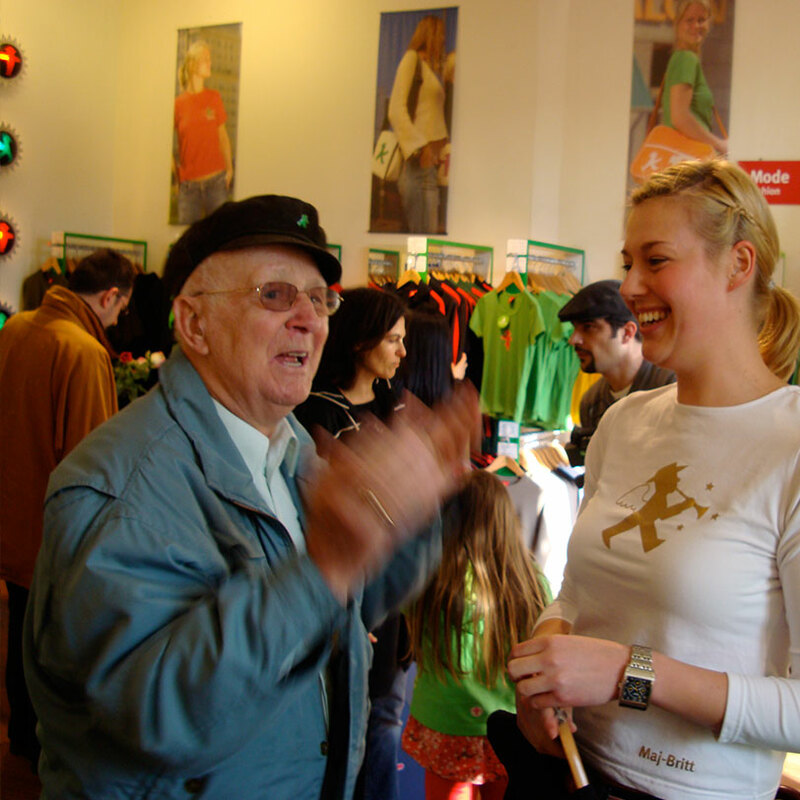 On the Ampelmännchen’s 40th birthday, AMPELMANN held a party and set up a display of the first 20 products featuring the Ampelmännchen. For this purpose, Markus Heckhausen rented the converted transformer building in the Hackesche Höfe, where he opened his first shop shortly afterwards. 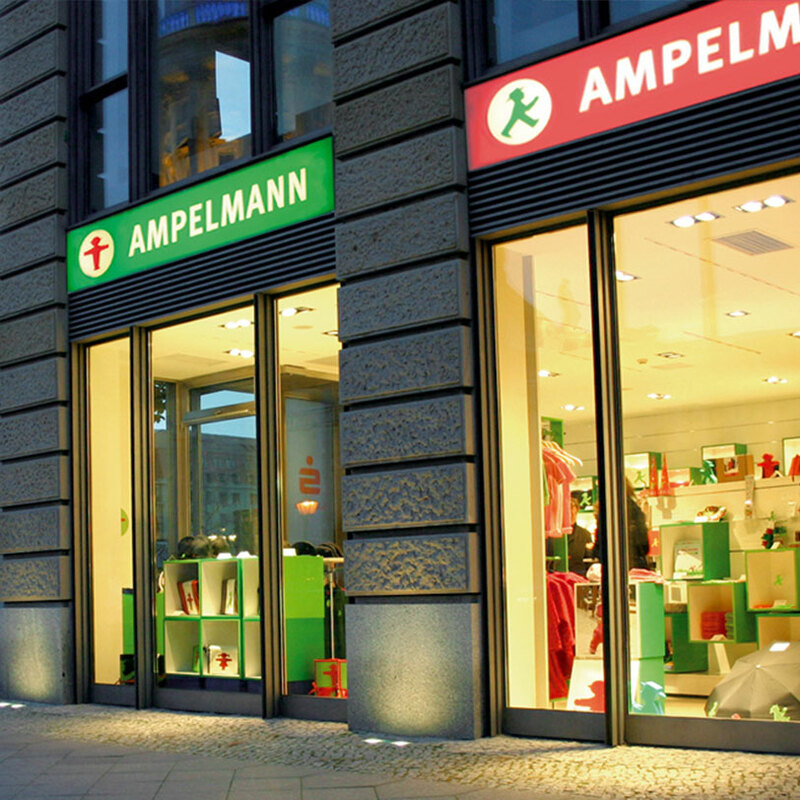 By presenting products in its own shop, AMPELMANN was perceived for the first time as a brand with an independent product range. Further locations soon followed: on Potsdamer Platz, near the Berlin Cathedral and on Gendarmenmarkt. 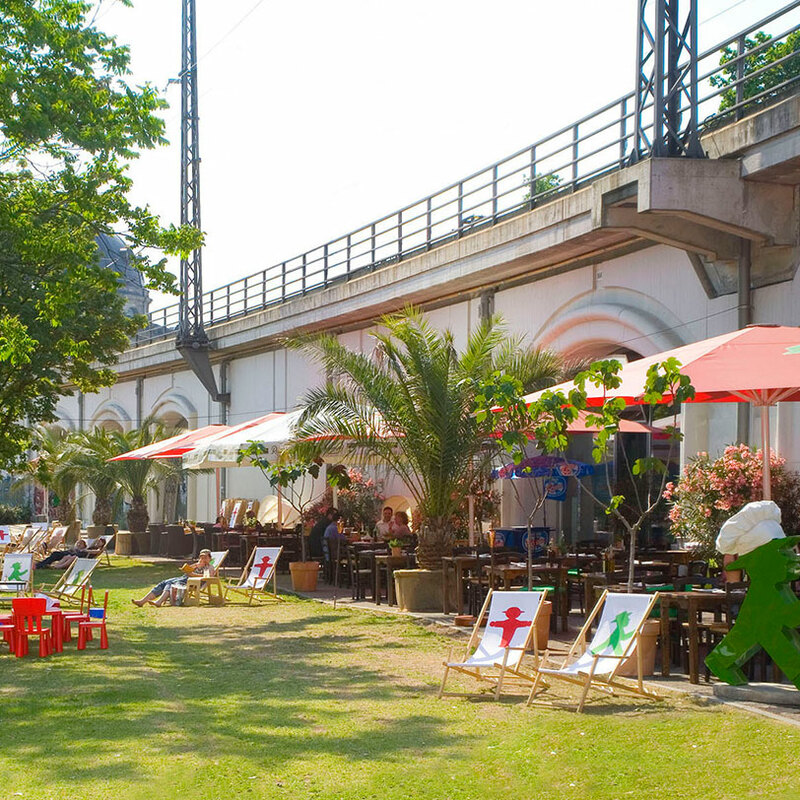 The AMPELMANN Restaurant opened its doors in Monbijou-Park. Since then, we have welcomed guests from Berlin and from all over the world, whom we spoil with both regional and international specialities. Up to 2009: Even as the company grew, Karl Peglau still visited the office on a weekly basis, shaking hands with every employee and bringing in cakes, fruit and a good mood. He often brought his wife Hildegard with him too. He is greatly missed by all of those who knew him. Berlin Mitte has always been a trend-setting place. The AMPELMANN office is located in the heart of the district, and it has developed into a flourishing family company. 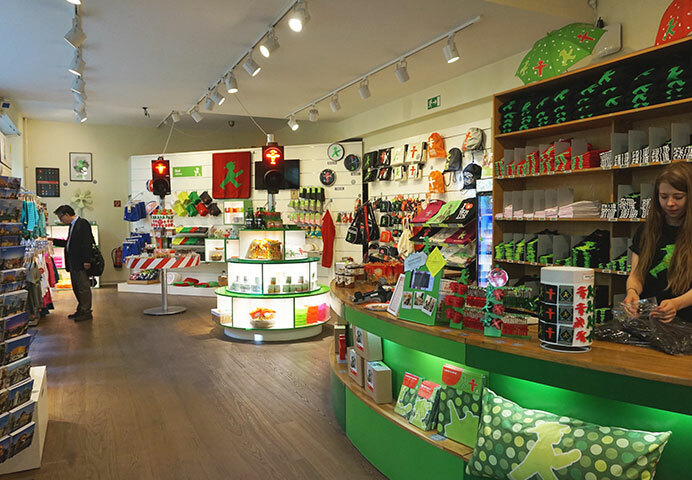 Today there are around 150 staff members looking after the Ampelmännchen brand. 2016 we opened two new AMPELMANN shops (at the central train station in Berlin and in the ALEXA Shopping Mall) and we also celebrated our 20th anniversary. Events in Germany, which like so many things were more concentrated in Berlin, shaped the future. In 2006, for example, the World Cup brought Germans from the East and West just as close together as they had been in the days after the Wall fell. At AMPELMANN, we were naturally right in the first row of fans celebrating here in Berlin. We even developed our own special product range dedicated to the World Cup. 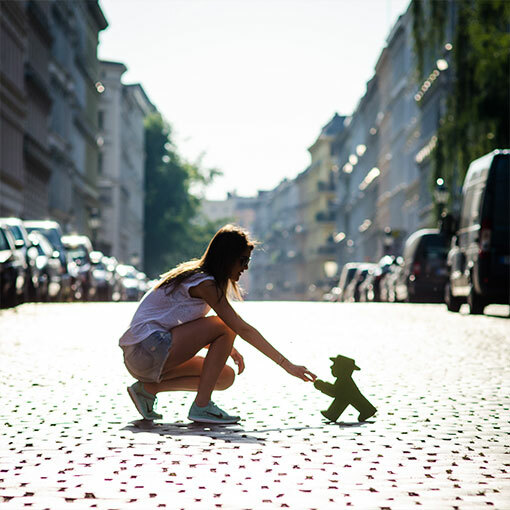 Everywhere in Germany, in front of screens and televisions too, many people began to show a new sense of community and national pride, possibly for the first time ever. We were in tune with the times, and we still draw inspiration from this today. 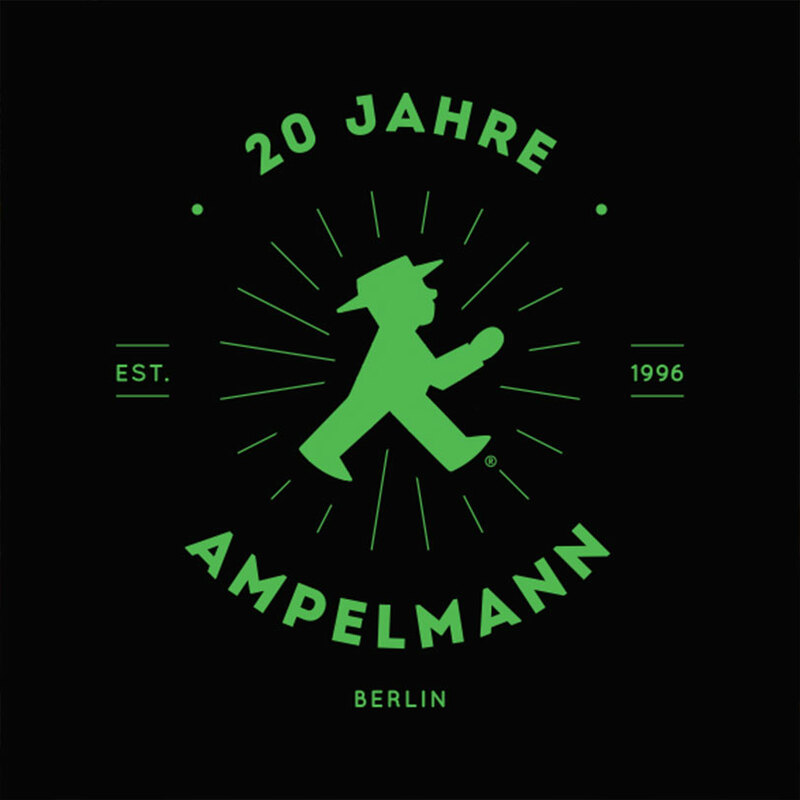 We felt the changes, and AMPELMANN was and still is a part of them. 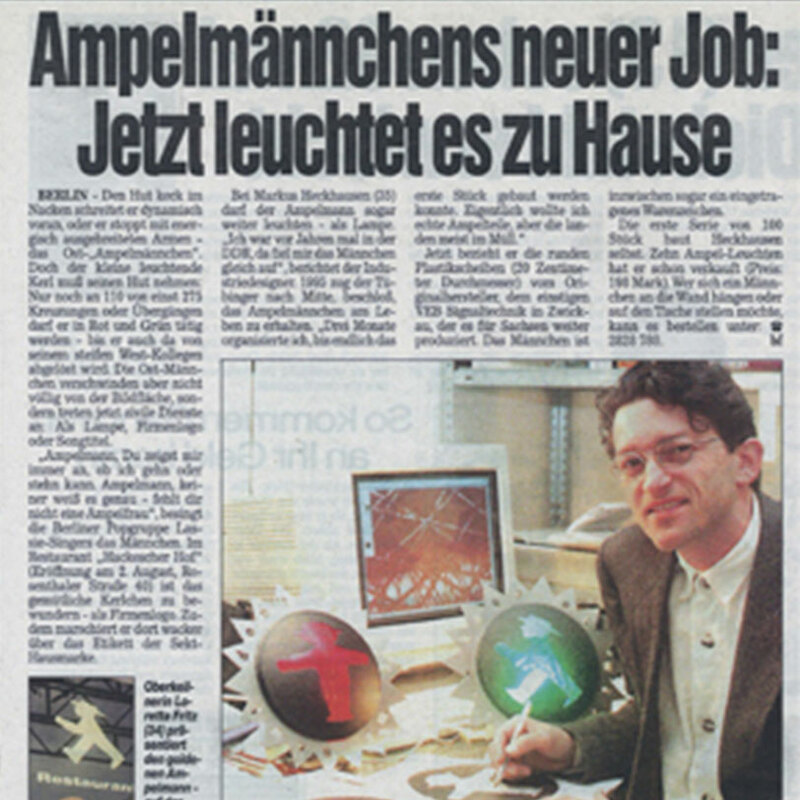 Markus Heckhausen graduated in product design in Pforzheim in 1987. Following a scholarship to study under Anna Castelli-Ferrieri (of Kartell) in Milan, he remained an independent designer. AMPELMANN is close to his heart and is his life’s work. Continuous development, innovative concepts and good ideas make AMPELMANN fans happy and lead the way to the future. 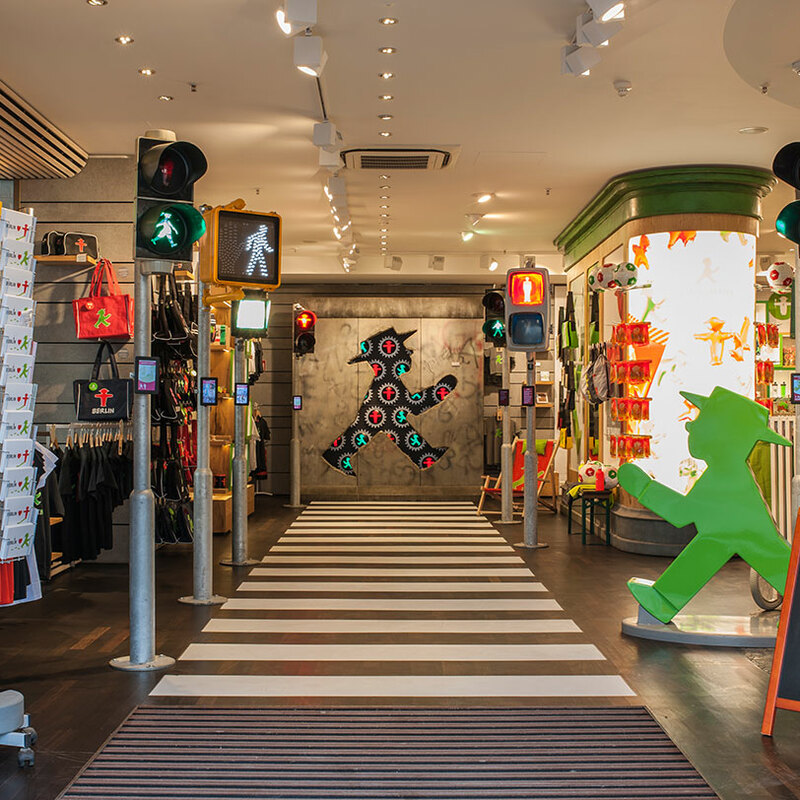 As well as our in-house Design Team (today around 10 creative people from all over the world), our Marketing and the experience associated with the AMPELMANN Shops are becoming increasingly important. 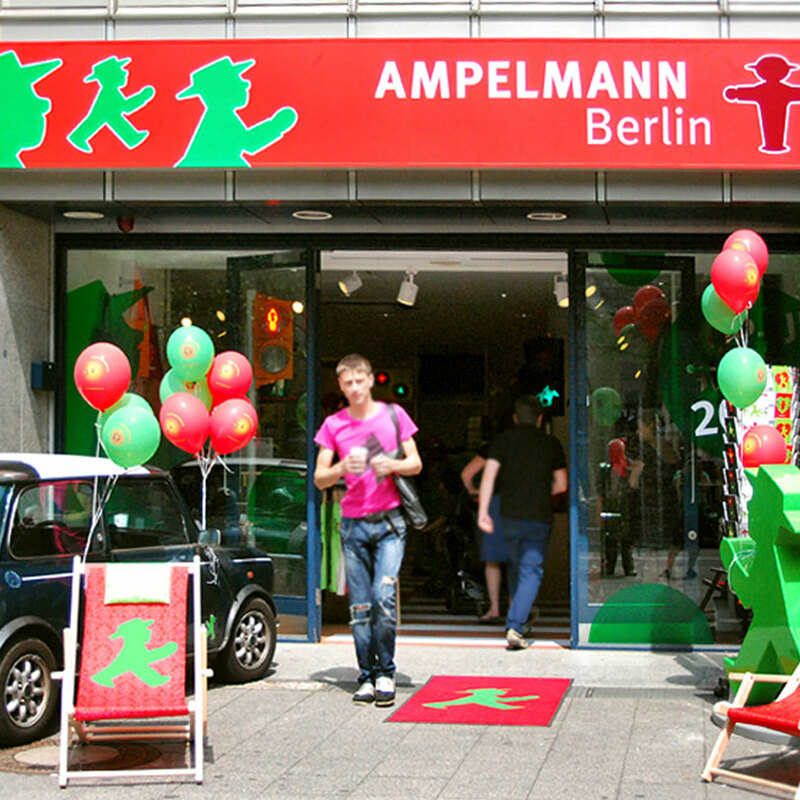 Read more about the AMPELMANN team: Around 150 people from all over the world lovingly care for the Ampelmännchen, which nowadays stand for the whole of Berlin. 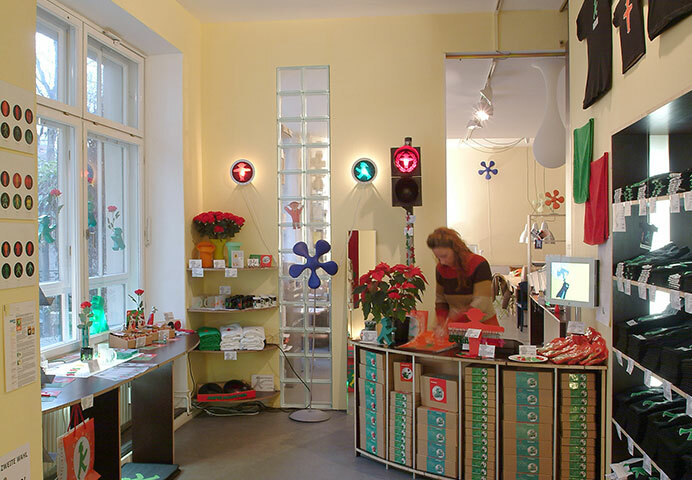 Our team creates original, practical products and enjoyable experiences of Berlin for everyone.